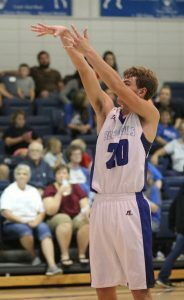 Shirley, AR – The Shirley Senior Boy Blue Devils began their 2016 – 2017 season with five consecutive victories in non-conference play. 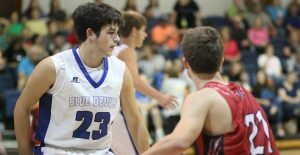 The Blue Devils opened up at home with a 62 to 35 victory over the Abundant Life Owls. Shirley jumped out to a 21 to 6 lead in the first quarter and never looked back. Senior Guard Joe Owen led all scorers with 14 points, 12 coming in the first half. Seniors Jed Privitt and Daniel Strempke had 12 and 11 points respectively. The next game had the Devils facing off against the Guy-Perkins Thunderbirds. 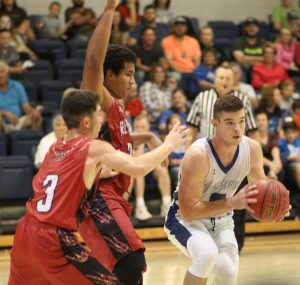 Senior power forward Jed Privitt had a monster game leading the Blue Devils to a 85 to 76 victory. 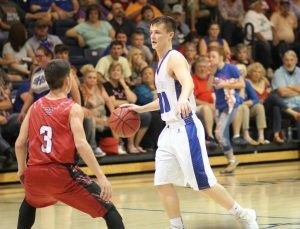 Privitt had 34 points to lead all scorers and senior swingman Easton Freeman hit 6 threes to finish with 22 points. 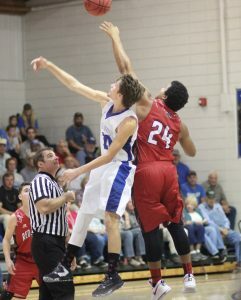 Shirley traveled to Mt Vernon-Enola for their third game of the season. The Blue Devils took a one point lead into the half. Coach Brown made some defensive adjustments at the half and the Devils held the Warhawks to 7 points in the third quarter pulling away to a 70 to 63 victory. Jed Privitt had 16 first half points and finished with a game high 24. 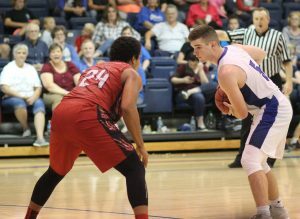 Joe Owen hit 12 of 14 free throws and finished with 18 points. 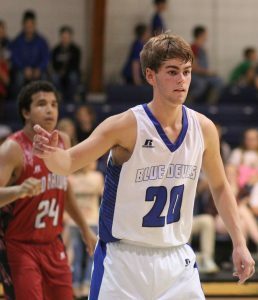 Senior point guard Sam Spurlin contributed 11 points to the win. Shirley defeated Nemo Vista in a low scoring affair on October 28 for their 4th victory… The visiting Redhawks were down by only five at the half but a strong defensive effort by the Blue Devils in the third quarter helped put the game away and Shirley closed out October with a 56 to 39 win. Shirley opened up November traveling to Conway to face the St Joseph Bulldogs. The Blue Devils trailed at the half for the first time this season. The Devils turned it on in the third quarter both on offense and defense. Shirley outscored the Bulldogs 19 to 4 in the third and cruised to a 55 to 37 win and their 5th consecutive victory. Next up, the Blue Devils travel to Rural Special to open up conference play against the Rebels. The Junior Boys began the season 1 and 1. In the home opener the Junior Devils defeated Guy-Perkins 48 to 18. 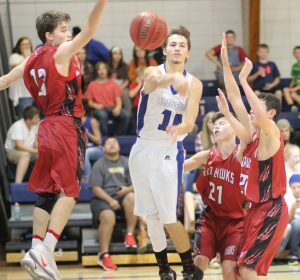 Clayton Handford led all scorers with 14 points. Jordan Rushing added 11 in the win. The junior boys were defeated by Conway St Joseph in their second game.